As soon as your garage door has a problem that requires attention, it is advisable that you contact All County Garage Doors in Cleveland, OH. Leaving the door unattended to opens the situation to escalation into a worse problem. Fixing a door that doesn’t open as it should, or attempting to repair a door that has noises that you haven’t heard before could lead to mistakes. These avoidable mistakes may prove costly, not only in repair costs but also to the owner. All County Garage Doors’s expert technicians understand the technicalities of garage doors and can make sure your door is returned to its full operation capacity with minimal damage. 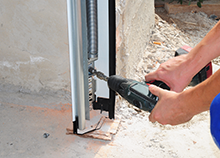 Our prowess and know-how give us the confidence to repair your door quickly. It is also advised that if you notice that your door is exhibiting signs of aging, you should call out technicians for a routine inspection and probable follow-up repair. Progression of wear and tear can cause the door to stop working altogether, to the detriment of your day schedule. 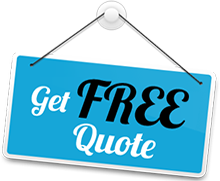 All County Garage Doors has been at the forefront in assisting the business community and individuals in the Cleveland to reduce costs and save time with our solutions. Let us assist you too. One of the things to avoid is attempting to repair the door by yourself. It requires skills and equipment that only experts possess. 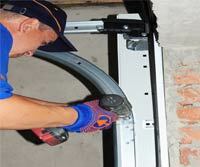 If the garage door repair does not go as planned, there is a possibility that the whole mechanism may be destroyed. Not only that, but it poses a danger to you and your valuables. To keep your property safe and secure, you can always call us, and we shall dispatch our teams to the site in Cleveland, OH to address the problem.